The reaction of Zionist racists to the lifelong war Jeremy Corbyn has waged against racism in general and the racism of the Israeli state in particular is to accuse him of … wait for it … racism. If this doesn’t prove an absence of a sense of irony, it is hard to imagine what does. 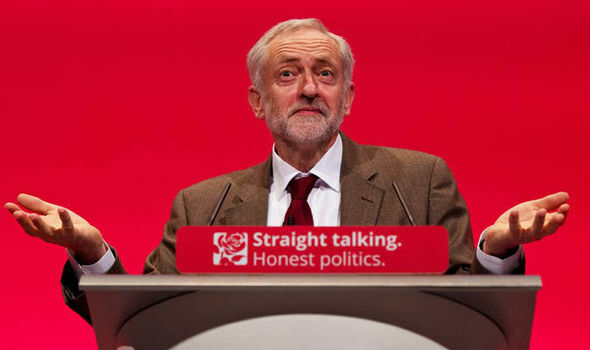 By calling it “English” irony did Corbyn mean ‘genteel’ and ‘understated’ … in truth there are such things as national characteristics. The English, as they were once perceived, were noted for their reserve and ‘stiff upper lip’. By any traditional measure the self-induced hysteria of almost the entire Jewish community (and their ex-Chief Rabbi, Jonathan Sacks) is very, very UN-ENGLISH. Therefore, to throw oneself into paroxysms of outrage in response to Corbyn’s mild, well earned (and obviously rather exasperated) rebuke is, to any impartial eye, simply comical. It is painfully familiar Jewish solipsism writ large. Narcissism on stilts. A child’s panicky tantrum when it thinks it might have lost something important, like … umm, England? Zionists cannot bear the idea that a national leader of significance might attempt to hold Israel to the same humanitarian standards of International Law as everyone else. It has come to something when all they can (try to) get him on is the very crime of which the whole civilised world accuses themselves. The fact that anyone, ANYONE, takes this demented war on Corbyn seriously should tell us all we need to know about the diseased condition of our political reality. The funded political class in Parliament and the media are whores to their masters’ money. The discourse, the newspapers, the radio phone-ins have given us wall-to-wall denigration of Jeremy Corbyn for months now. This will not end. The rulers of ‘The West’ (and beyond) are, as we know, ardent Zionists. Israel is the elite’s instrument for advancing their global agenda in Asia. These people want global governance with themselves in charge. They do not even care about Israel. Any country at war with nearly all its neighbours cannot survive. Kissinger is reported as saying that in 2022 Israel “will not exist”. Neither do they care about ordinary Jews. WW2 proved that. Hitler was funded by Zionist bankers in the USA and the UK. Zionist bankers WON World War Two. This is obvious. They were almost immediately handed the land of Palestine. Then the second-class Jews these Zionist overlords had sacrificed (the elite Jews all escaped early) were used to add a new weapon to their arsenal, a world religion, ‘Holocaustianity’, the religion of (literally) ‘The Fiery Sacrifice’. The mass media have worshipped at this Satanic altar to the point where anyone who doubts the nightmare fantasies dreamed up to serve the new God is (even though they speak the absolute truth) a devil, a heretic … who in many countries will be and has been, by the thousand, put in jail. Zionists own the banks. They own almost all of the large Corporations. They own the media. They own our governments. Zionists won the war, geddit? At the centre of the diabolical Imperial web is the Rothschild banking cartel. These are the people who “say they are Jews but are not“. Zionism, the Jewish people, the political class, the media and all who believe the enslaving lies these fiends tell us ….. everyone who believes the lies will serve these Satanic dogs and be, wittingly or unwittingly, instruments of a diabolical will. Do not trust authority. Do not swallow lies. Do not co-operate in their project. We are in a spiritual war that is accelerating towards a major crisis. Do not be angry. It’s tough, but anger feeds the beast. Anger will lose.